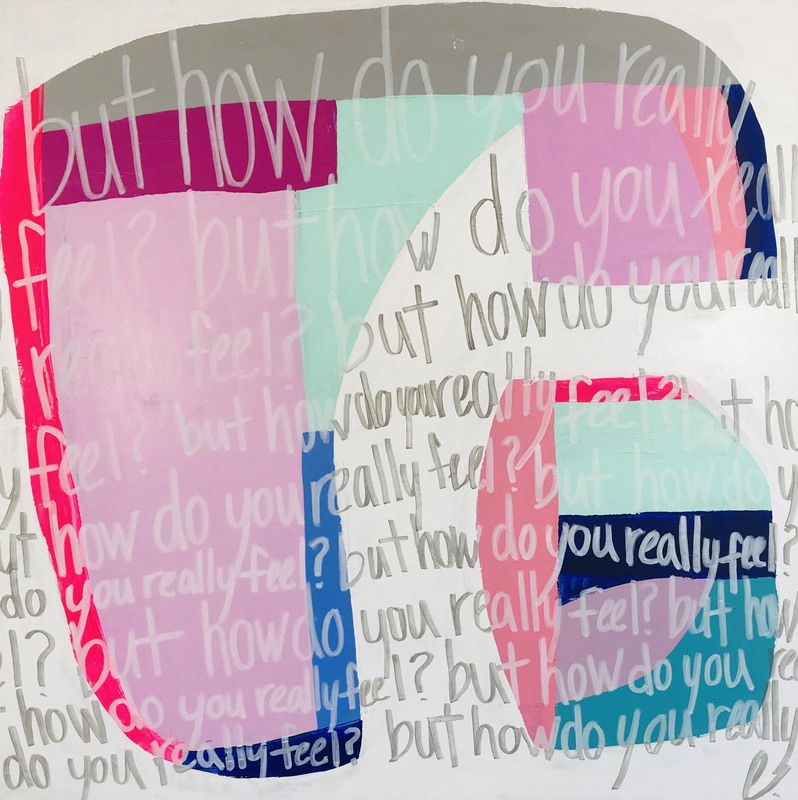 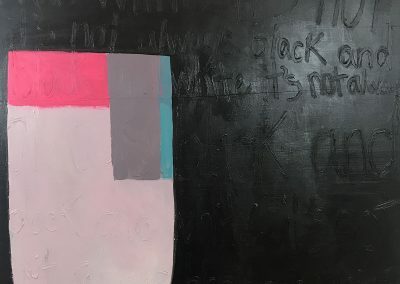 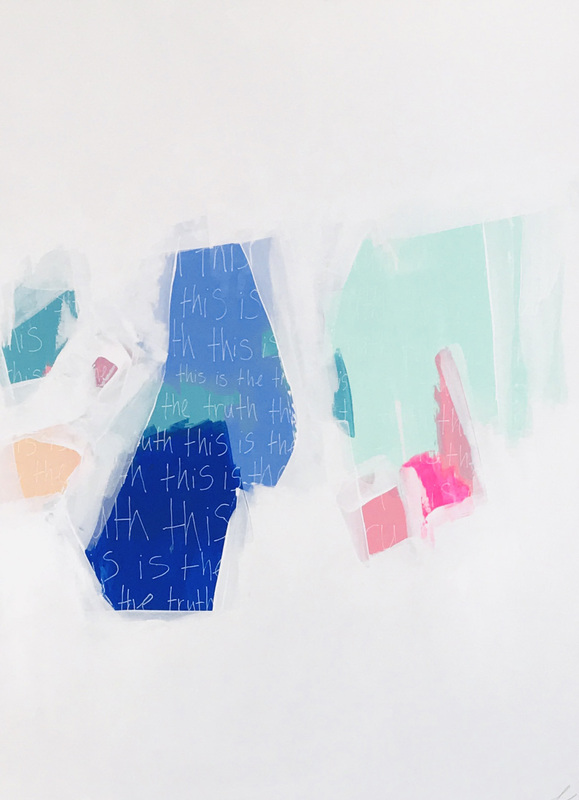 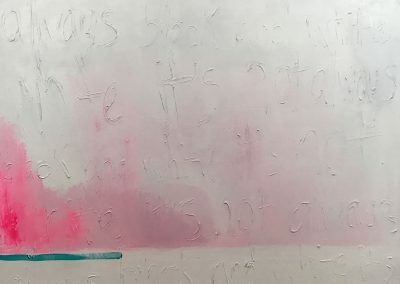 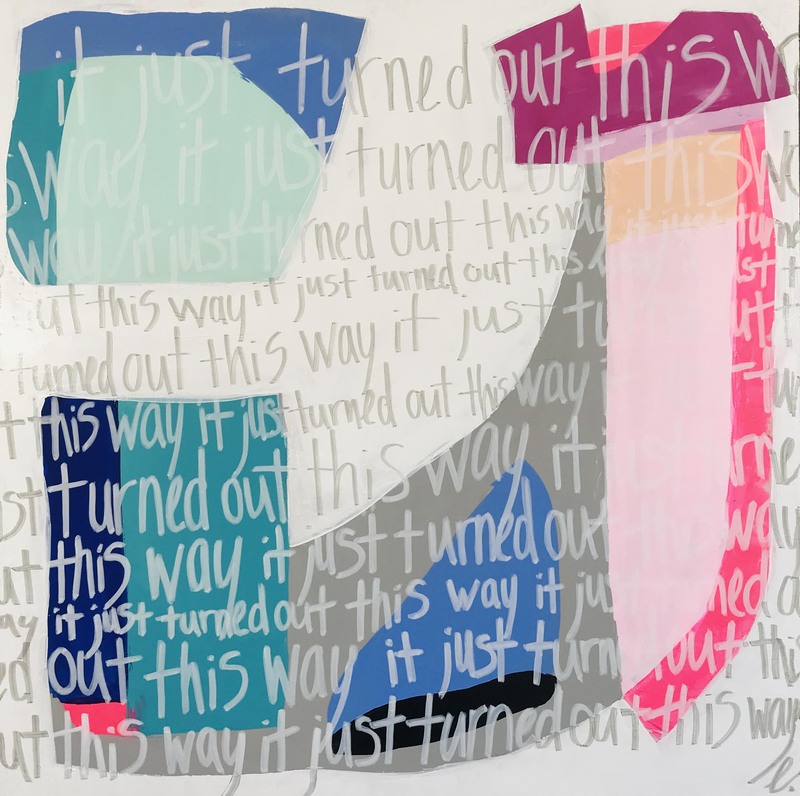 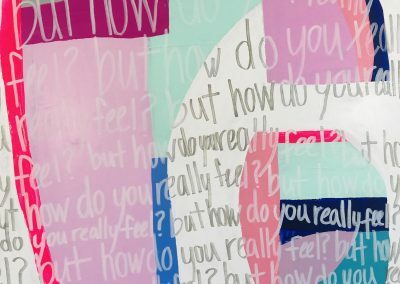 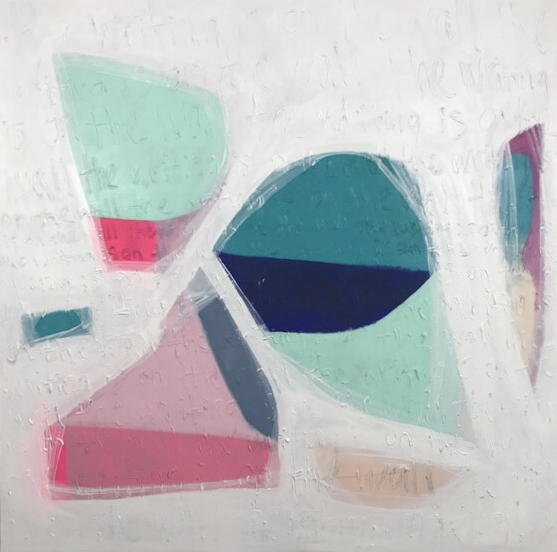 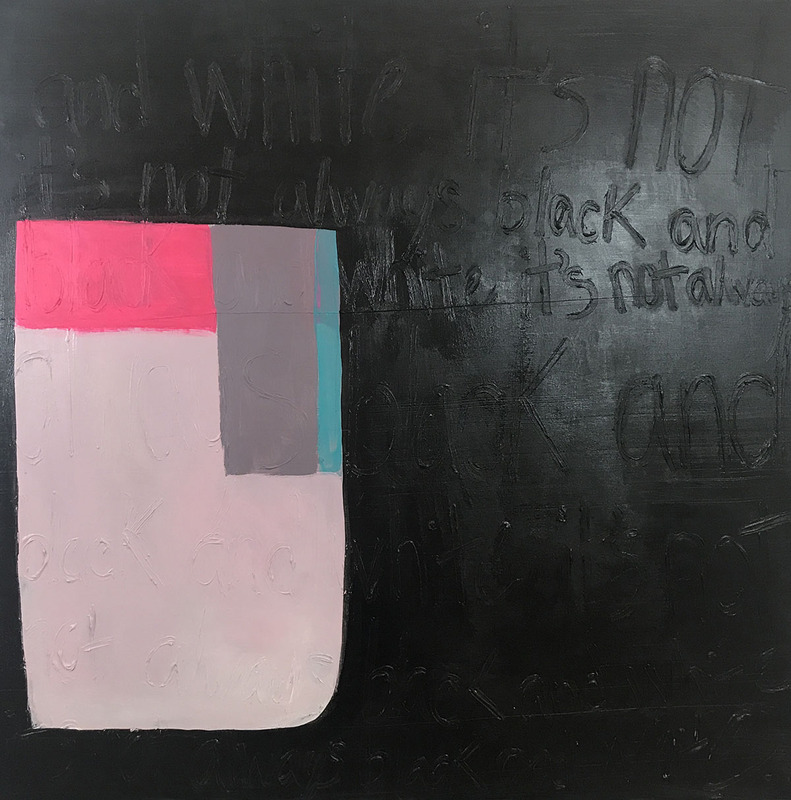 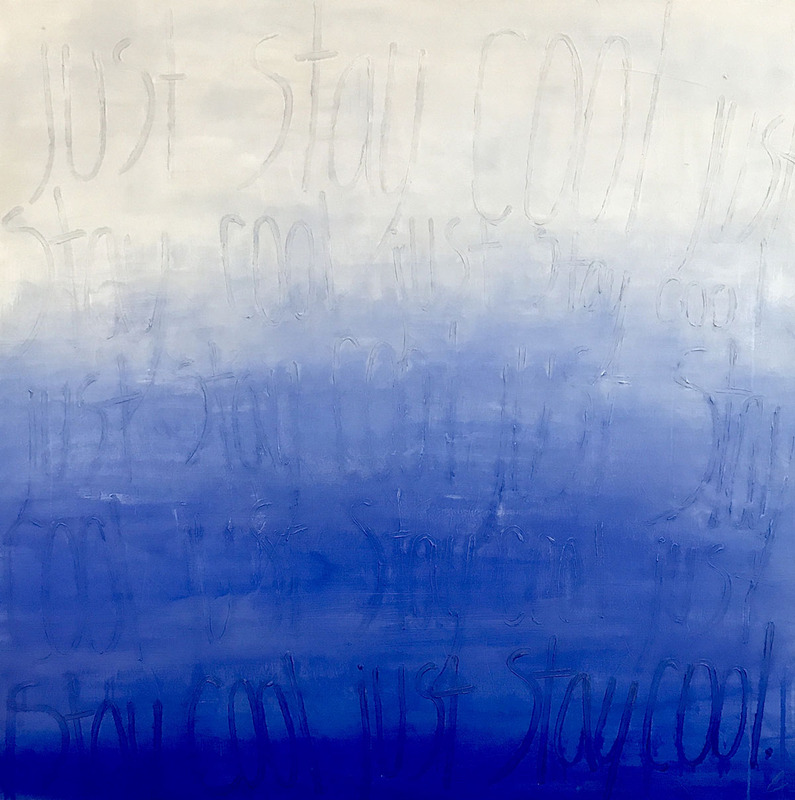 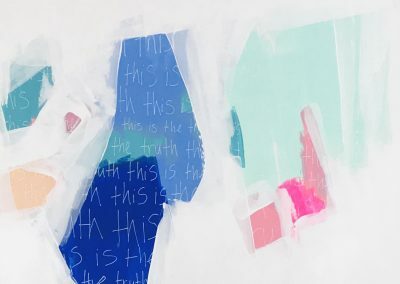 Artist Elena McCoy fuses text with ombre fields of color. 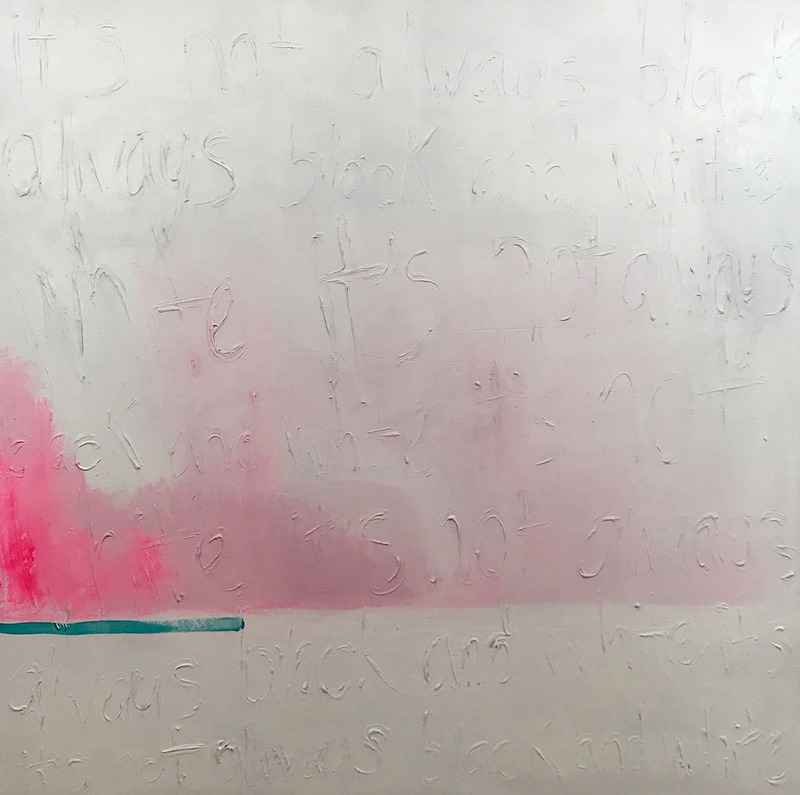 Soothing shades fill the canvas as the viewer tries to discern the writing on the wall. 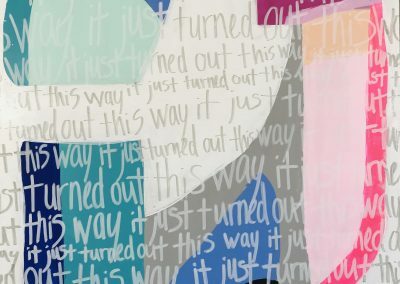 The titles of the work look as if they’ve been carved into the object, blurring the lines between painting and signage. 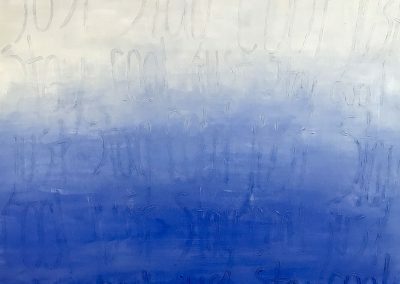 McCoy finds inspiration for her work by looking at the water off the coast of Connecticut. 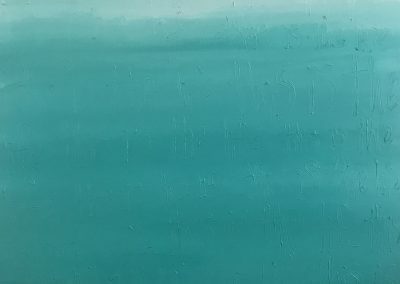 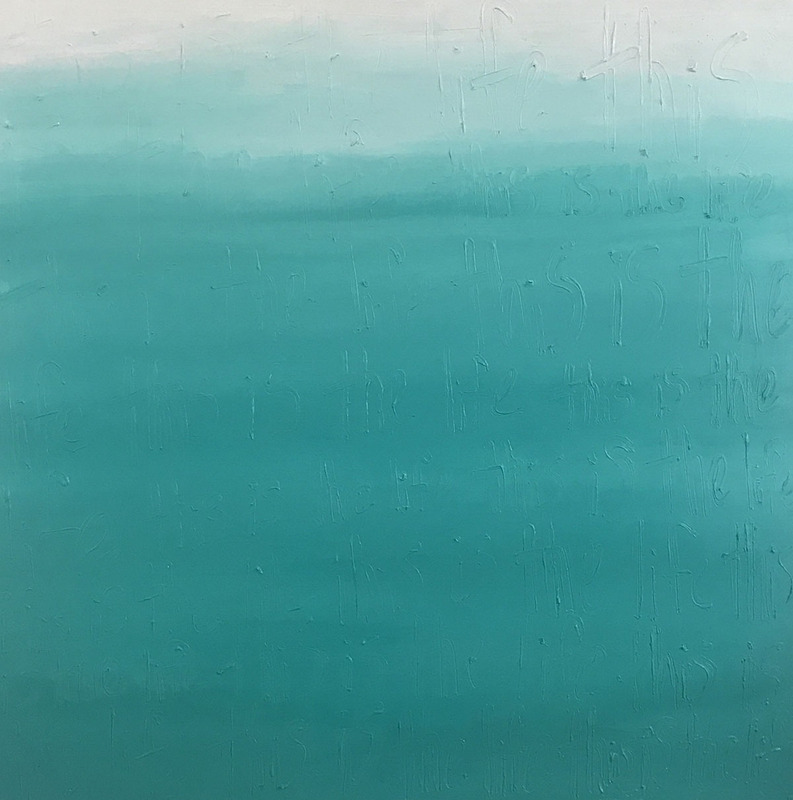 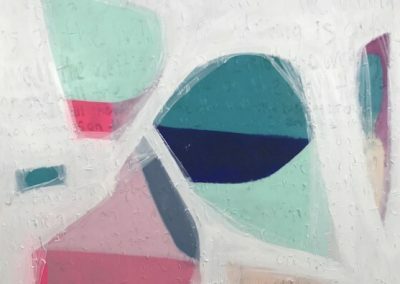 As the light changes the color of the ocean, the artist enjoys a moment of stillness, giving her a chance to reflect on her experiences as a human being.